The FM sector is estimated to be worth €1.2bn and in recent years it has enjoyed continued growth with no signs of this abating. 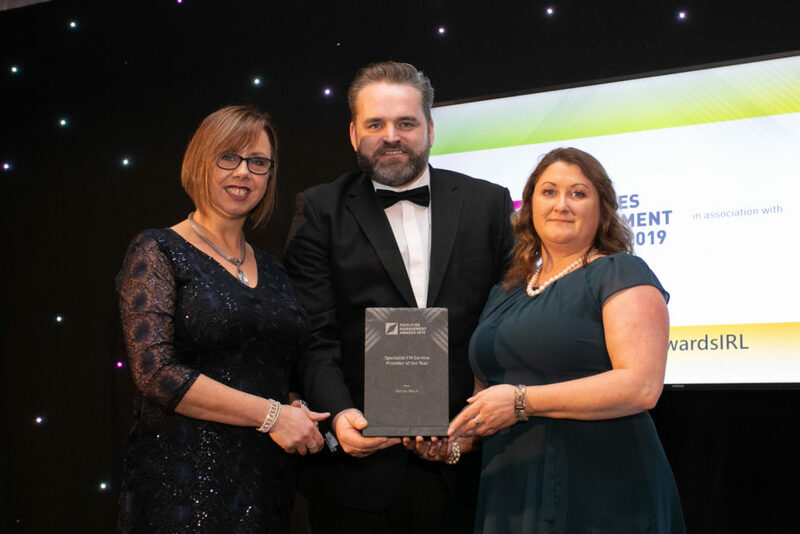 Since its inception in 2014, the Facilities Management Awards is now a well-established platform for acknowledging and rewarding Companies and their teams who strive for excellence within the FM sector in Ireland. 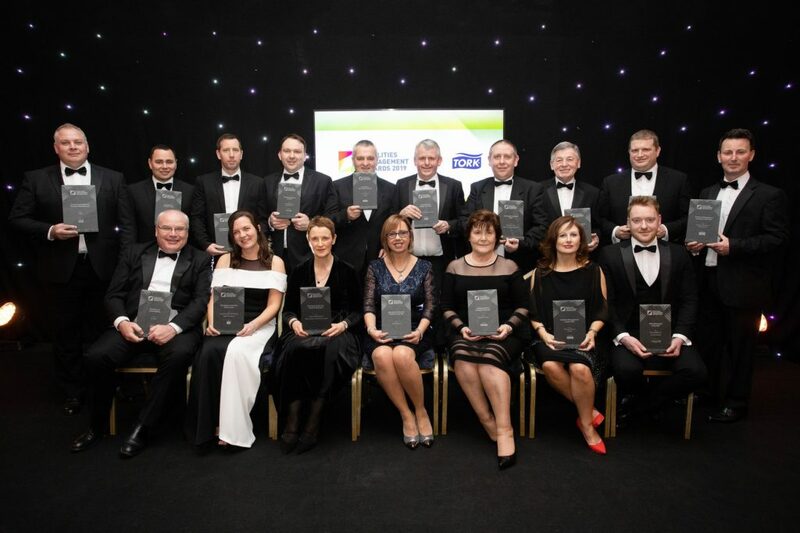 The awards ceremony held on the 31st January at the Ballsbridge Hotel was a glittering affair where the crème de la crème of the FM Industry was on tenterhooks awaiting their fate. 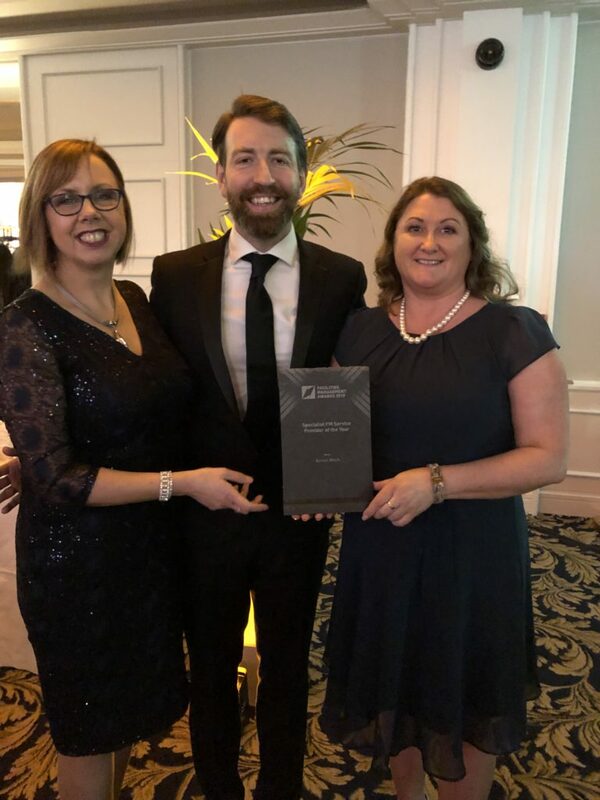 Finally, in the fifteenth of the seventeen award categories, “the winner is” was ushered by Mark Keely, Sales Manager, Karcher Ireland for the Specialist FM Service Provider of the Year. 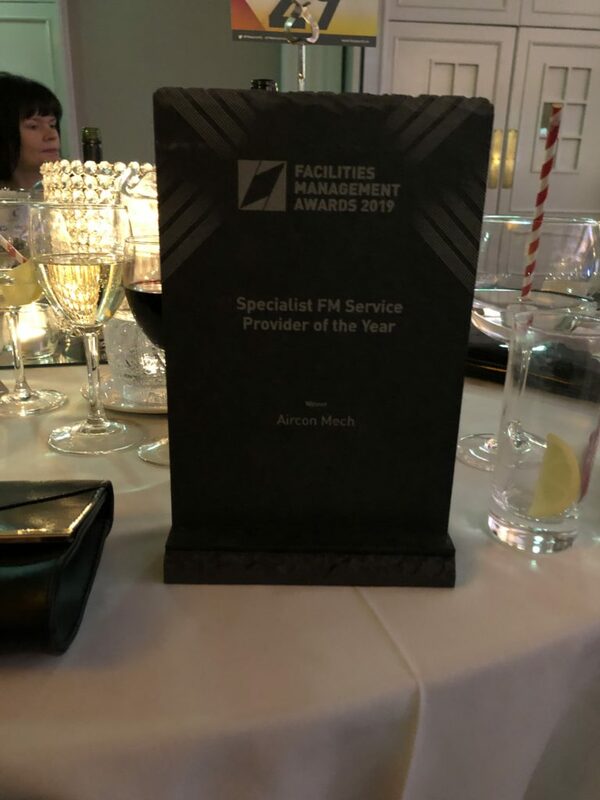 One of three finalists, AirconMech & AMV Systems were over the moon to be awarded category winner and recognized by industry peers for the services provided to their FM clients. 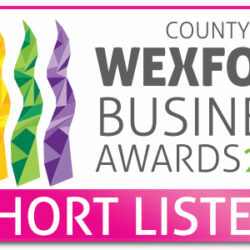 It was also an honour to be shortlisted for the “Overall Excellence in Facilities Management” Award. 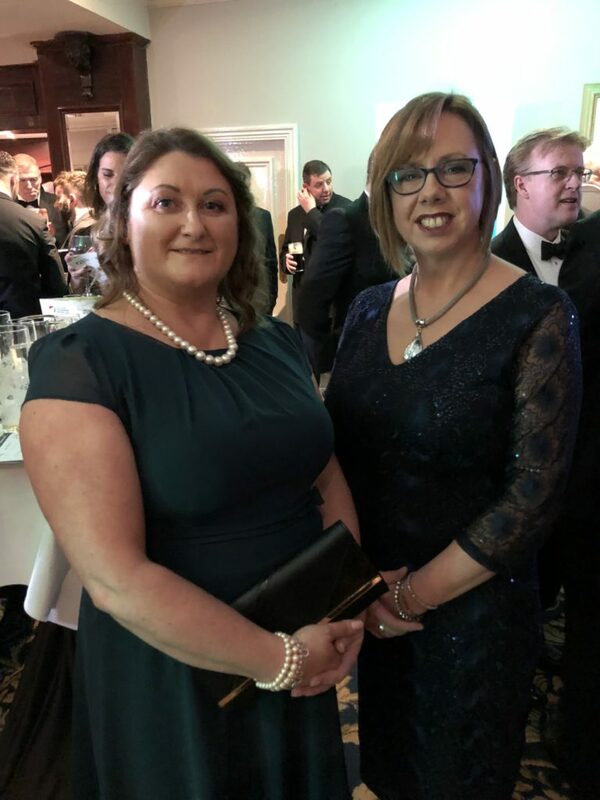 Speaking about the award, Joint Managing Directors John Dempsey and Jim Mullett AirconMech and AMV Systems, said that the award was the result of a huge team effort and we are delighted to see the teams focus on customer service rewarded. 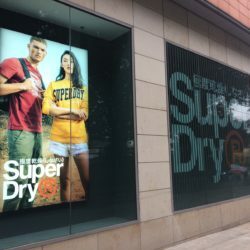 We are immensely proud of all of the team and the services they provide as both Companies have gone from strength to strength over the past 2 decades. 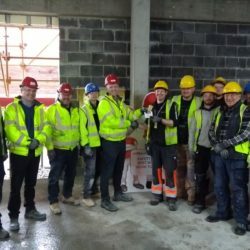 John O’Leary Wins H&S Observation Prize!